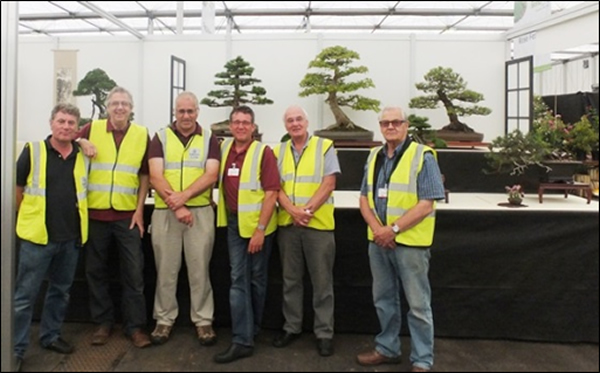 Congratulations to the South Staffs team led by Mark Bentley who designed and assembled the bonsai display for this years’ Gardeners’ World Live, held this week at the National Exhibition Centre. 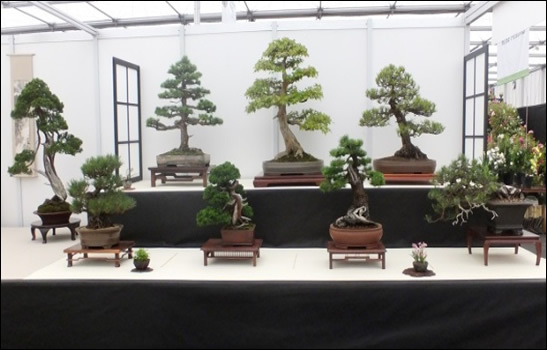 This was the second occasion that the Society had put on a display of their own. 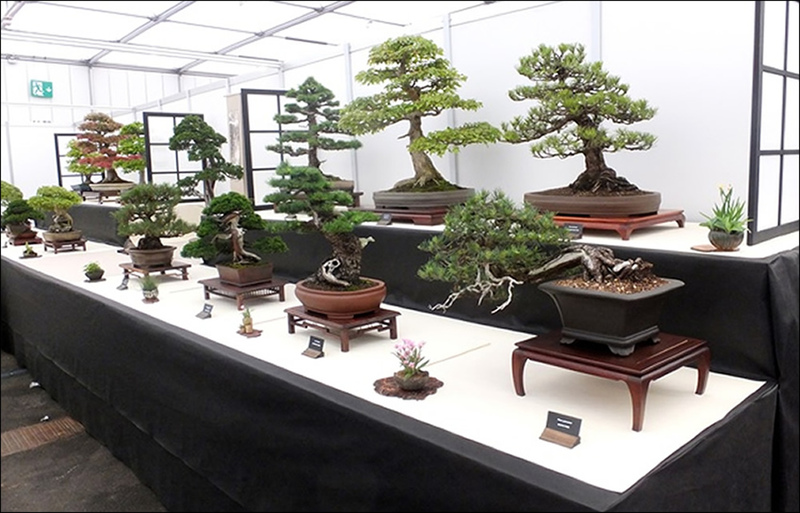 Last year under, The Royal Horticultural Society, they achieved a Gold Medal Award. 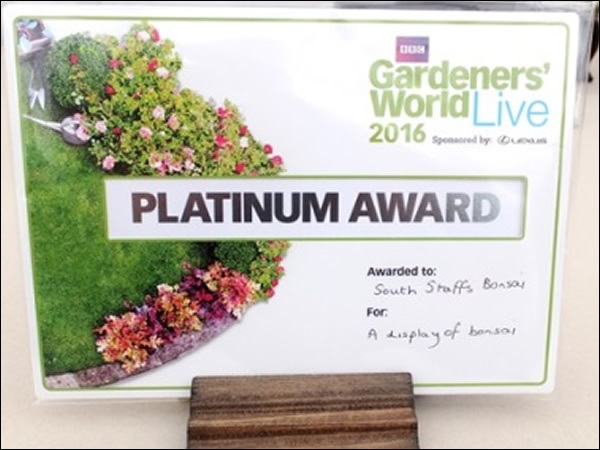 This year the Organising body has changed to ‘River Street Productions’ and the award system had altered slightly and the top award changed to a Platinum Award, which we were successful in achieving. 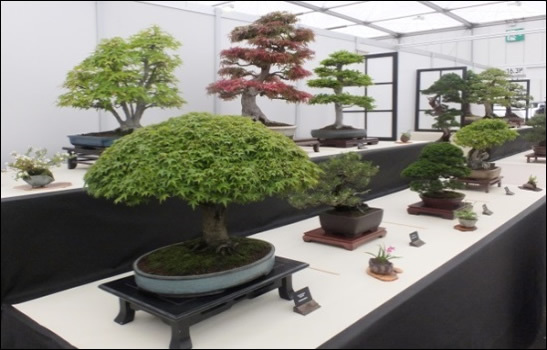 This years’ stand consisted of a central tokonoma containing a large and sculptured juniper with a mountain scroll and similarly following the mountain concept, a suiseki mountain stone on a stand. 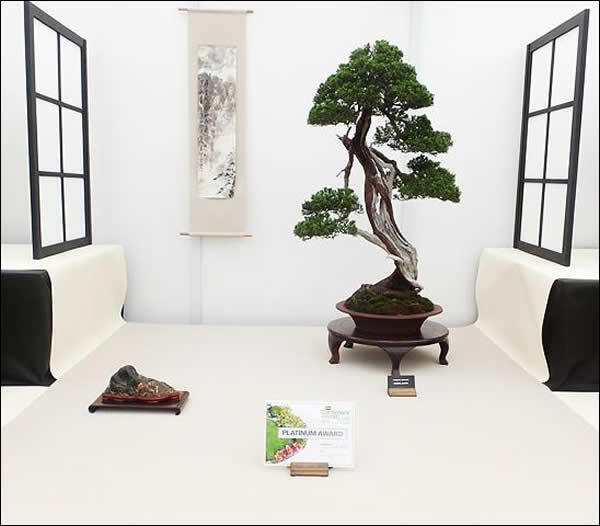 On either side of the tokonoma were 12 feet extensions on 2 levels exhibiting trees and accents. 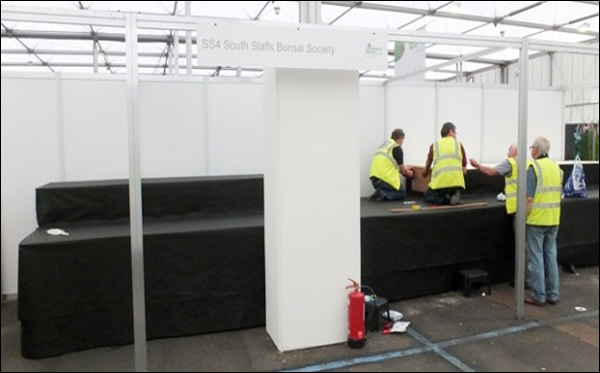 A very worthy stand, deserving of its’ top class award and greatly admired by the many thousands attending the event. The much cursed pillar, which we were told was 4 inches square!!? ?